Expansive 15 acre practice facility complete with bentgrass tees, target chipping and putting greens. Rated TOP 5 Arnold Palmer Courses You Can Play in U.S. 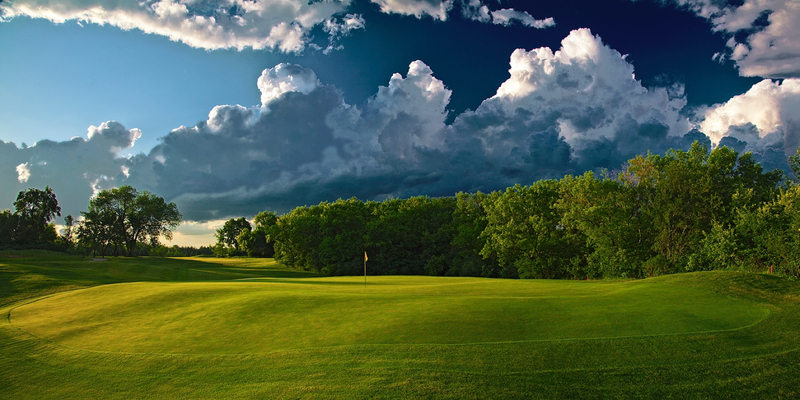 Rated 4.5 Stars & TOP 10 Best Golf Courses in all of Wisconsin by Golf Digest. Rated in the Top 50 Public Golf Course Driving Ranges by in America by Golf Range Association of America (GRAA). THE BOG hosted the Wisconsin State Amateur Championship in late July, 2013 in addition to many other local WSGA & PGA events since 1996. THE BOG offers lunch, dinner, golf outings, banquets and parties available in an elegant clubhouse overlooking the 18th hole. From US 43. Take Saukville Exit left (west) on Highway 33; NW 3 miles; left on County Road I; 1/4 mile on right. The 2017 BOG Golf Membership Program provides a tremendous value for those who are serious about golf. Because there is no initiation fee, no food and beverage minimums and no capital assessments to fund non-golf related amenities; members can save thousands of dollars versus a typical private country club membership. 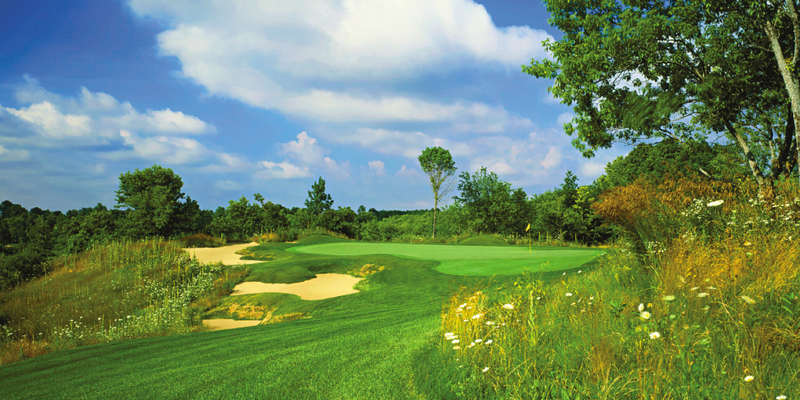 In addition to this substantial savings, members can play and practice at an Arnold Palmer Signature Course and the best daily fee golf facility in the Milwaukee area. Book up to 1 year in advance. Well known for its championship golf course, The BOG is much more than world class golf. 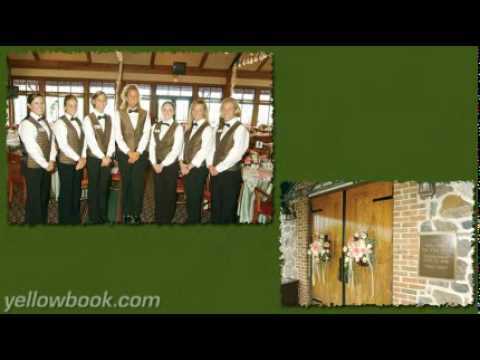 Our reputation is growing as the finest facility in the area for your special occasions - from weddings to reunions to holiday parties to business meetings and more. At The BOG, we have a passion for planning - and every occasion is as special to us as it is to you. Our wealth of experience gives us the expertise to provide you with unique ideas and suggestions. Our personal event coordinator will work with you to arrange everything exactly to your expectations, and tailor the event to your individual needs and tastes. The BOG is available year round. Our impressive facility features a bar and dining room with a natural fireplace, and seats up to 160 persons. The covered outdoor patio can hold up to 80 persons. Outdoor tent space is also available. For business functions, a conference room with WIFI Internet access and audio-visual equipment is available for up to 25 people. We'd be pleased to host your next wedding, business or social event. Call The BOG today at 262-292-0740 or email btaylor@golfthebog and we will devise a plan to make your event a memorable one for you and your guests. 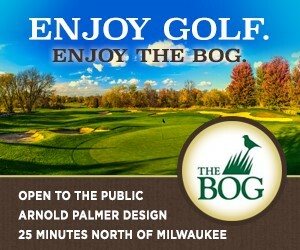 You may also fill out our On-Line Event Planner to receive a price quote for your event, www.golfthebog.com. We also welcome and encourage your visit to tour our facility. Please call soon to arrange an appointment to stop by and see The BOG. We know you'll be impressed. Beverage Carts & Halfway House available on course. To place an order while on the course, please call 262.988.5988. Menu available at Hole 9 or at the Halfway House. Watch the The Bog Video. The Bog - There's no place like home. This profile was last updated on 01/30/2019 and has been viewed 108,753 times.